For any new parent, the first food their baby will have is something that requires great planning and several consultations. While all parents rely mostly on family traditions or doctor's advice it is still a matter of grave importance in most families. But before you think around obvious options such as boiled, pureed fruits, dal ka pani or sooji there is another superfood that you can consider for that baby's first introduction to solids. Despite its many benefits ragi is usually regarded as sooji's secondary cousin. But according to pediatricians, ragi has all the nutrients required to make it an ideal first food for babies. It is rich in protein and mineral content and its regular intake is also known to boost immunity in babies. 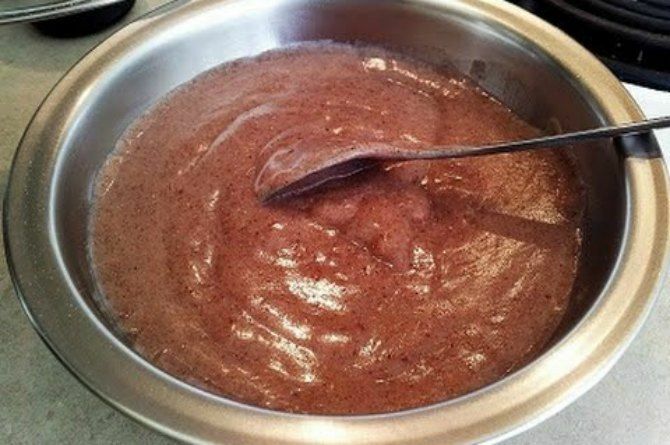 A breakfast of ragi porridge is an ideal power booster breakfast for kids. Okay as mums you may have also noticed that babies on formula feel full for a longer period of time. And that is the reason why many mums who breastfeed their babies sometimes give their babies formula just before sleeping so that they are full for a longer time. Ragi serves this purpose well for babies keeps them feeling full as it releases glucose in the bloodstream slowly. Ragi also helps build strong muscles and is a rich source of iron and calcium. Roast ragi powder on tawa. Keep roasting until it changes colour and turns fragrant.